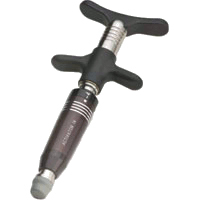 The Activator is a small hand-held instrument with a spring inside that delivers a high-speed, but gentle, thrust to the vertebrae or joint via a small rubber tip. Using the activator, rather than a manual adjustment, the patient’s muscle resistance is not fighting against the adjustment. Patients remain in their own clothing during adjustments, making a visit to the chiropractor quick and uncomplicated. Thousand of clients throughout the world, ranging in age from a few months to well into their old age, enjoy safe, effective chiropractic care with the Activator Technique. Clients enjoy results and appreciate how comfortable it is to get adjusted. It is the most widely used low force technique in the world. It incorporates the latest advances in orthopedic, neurological and chiropractic examinations along with a unique system of delivering spinal adjustments. Using the Activator instrument, spinal balance will be restored safely and comfortably. Besides lower back pain and neck pain, chiropractic care can help with many other aches, pains and ailments. Patients are seen for headaches, shoulder, knee and hip pain, sciatica, bulging disc (often described by patients as slipped disc) and many job or sports-related injuries. Quite often patients report that they have improvements in conditions that they had never thought to mention, such as painful menstrual periods, asthma, and allergies.